Shawinigan, Trois Rivieres and Sherbrooke, the trifecta of the “real Quebec.” We were ready to dive in, to immerse ourselves in places where poutine is the national dish and English truly is a foreign language. Okay, a wee bit of creative journalism there, the truth is that after leaving the Montreal area and its tangle of freeways we knew a quieter area was in order before heading to Quebec City. 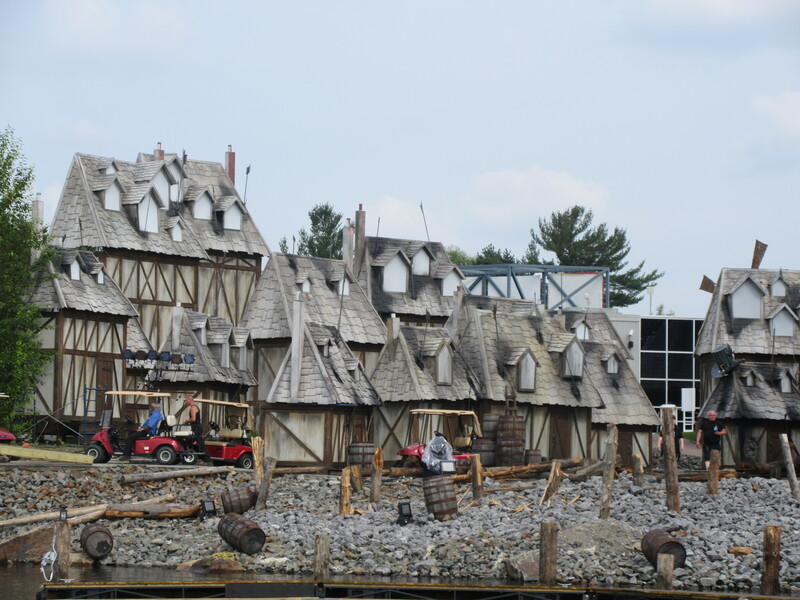 Two things led us to Shawinigan – it was sort of on the way to Quebec City and Trois Rivieres had no pull-through sites. I know what you’re thinking, you still haven’t learned to back that damn fifth wheel up… don’t judge. Shawinigan, one of those glorious French names that is fun to say, is the boyhood home of that funny-talking future prime minister. “The little guy from Shawinigan” was always meant to imply Jean Chretien’s rural roots, a millionaire with his boots on the ground. Now your probably asking, where are all the gifts the other Prime Ministers got…..just saying if you get a gift from Brian Mulroney you know where it came from…. Did you know prime ministers get a lot of gifts? 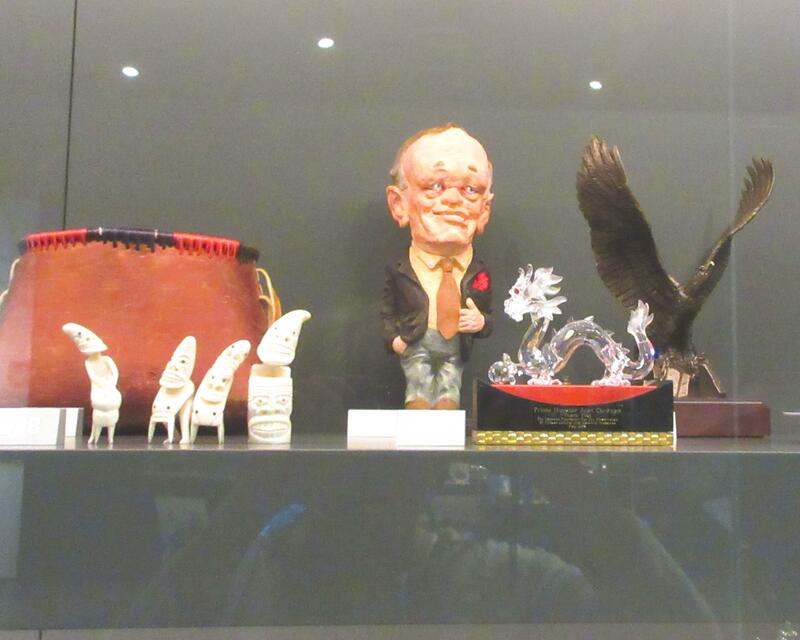 When the town decided to build a museum in his honor, Chretien donated hundreds of gifts he received during his tenure. 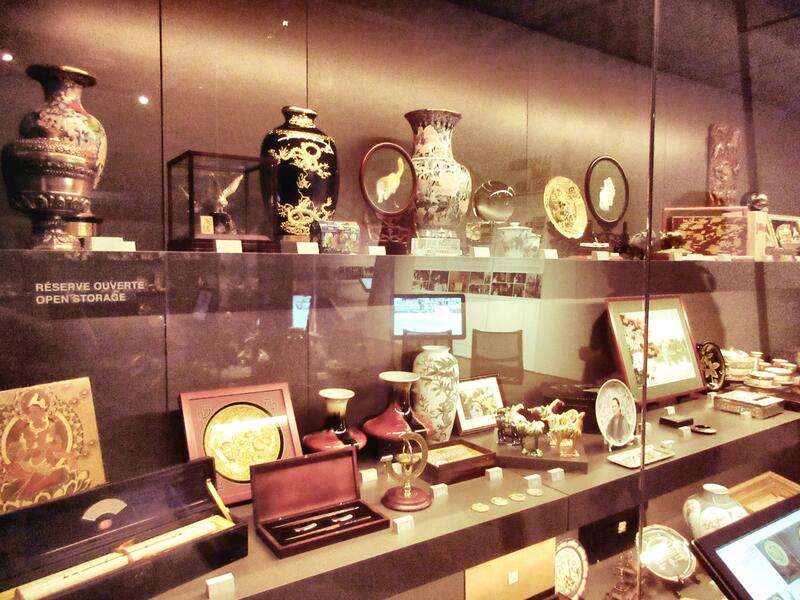 It’s a crazy collection ranging from coins to tea sets to intricately carved ships. Like Christmas presents some of them are definitely in the knitted moose sweater category, others like the intricate mother of pearl sculptures are breathtaking. Apparently the only thing he kept was a rosary, blessed by Pope John Paul II. Even prime ministers need a heavenly high five. Shawinigans’ other attraction is electricity. Across from the campground a steel structure hundreds of feet high looms above the landscape like a poor man’s Eiffel Tower. It is the last remaining tower from the dam that provides electricity to the region. In one of those feats of engineering that make my head hurt, a tunnel was dug under the Shawinigan river, miles of power lines installed and these massive electrical towers taken down and shipped off to make widgets. 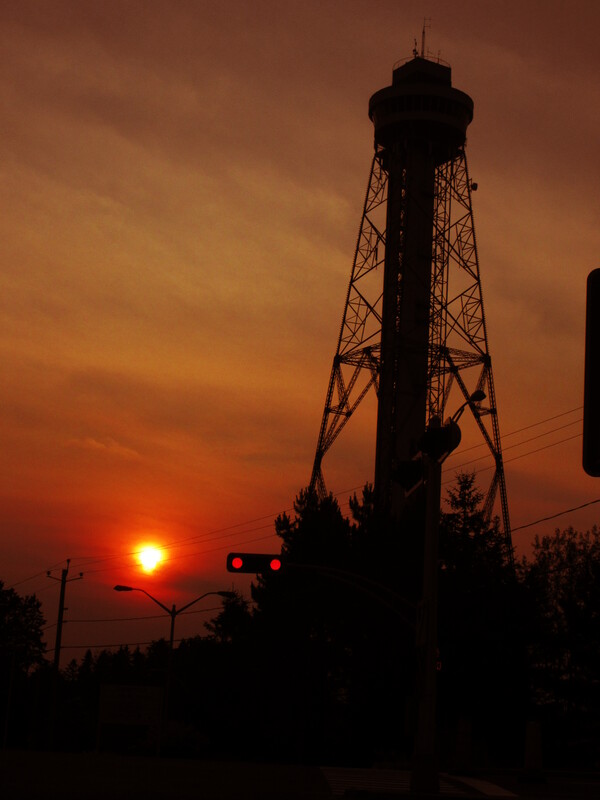 The brave townspeople linked hands and stopped the evil government from removing the last tower. 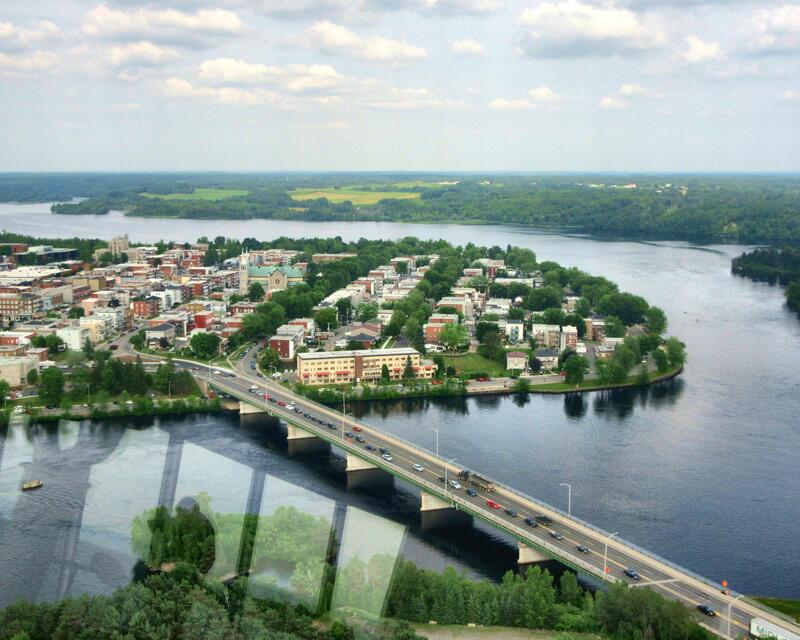 Ahem, in reality an entrepreneur saw an opportunity to fleece, ahem, educate the public and built a museum and viewing tower overlooking the whole of Shawinigan. 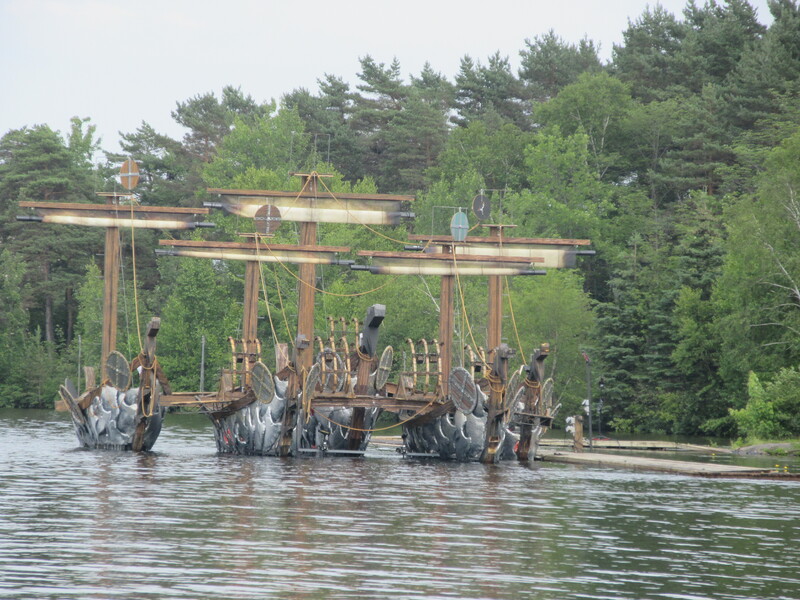 La Cite de l’Energie site also includes a revolving stage with a nightly show involving a sunken ship, a huge dragon, random skeletons and a weird little wooden town, oh ya and wooden pirate ships. Visiting is like being in a Tim Burton movie, I kept expecting Johnny Depp to show up. After narrowly turning around at the end of peninsula we found a site near the crafts building, easy to back in and no one else camped there. We found out the reason, each day troupes of kids would march in off a bus, head into the building lunch bags in hand to plot the downfall of the rest of Canada. It turns out, however, the site was large, shaded and private, and the munchkins were gone by 3 p.m.
← Saint Rene to the rescue? 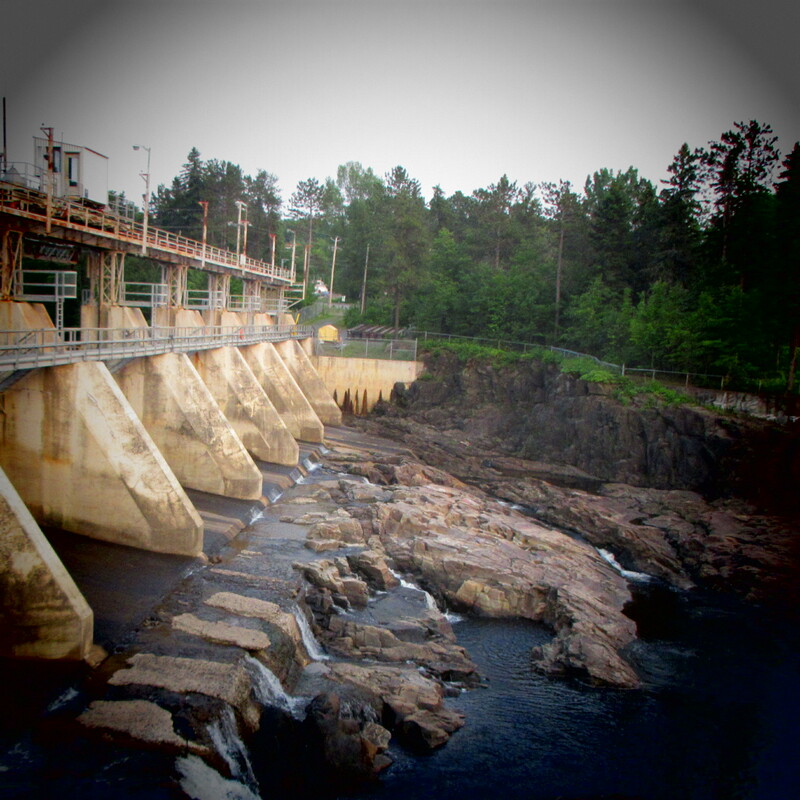 Bruce’s paternal grandfather did a lot of work on hydro in Shawinigan. He was in charge of building one of the dams. A little Brownstein trivia for ya! It was quite the impressive bit of engineeringâ¦thanks for the trivia tidbit Blondie!